the shady octagonal A grade teak or aluminium parasol. comes complete with a stainless steel pole (60mm diameter), stainless steel crown rings and fittings, double stainless steel pulley system with integrated ball bearings and A grade teak ribs and hubs. A deluxe storage bag is included. base not included. 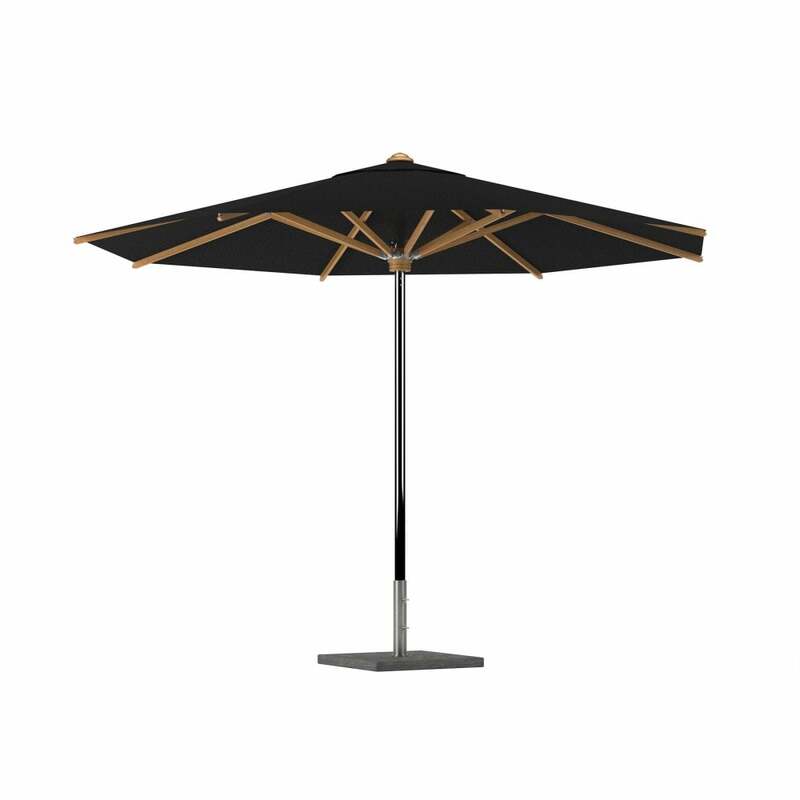 Royal Botanica parasols are way beyond what you've seen before, sheer luxury. Choice of fabric shade. Teak ribs with a choice of teak or aluminium pole. Does not include base.